The purpose of this document is to define the profession of audiology by its scope of practice. 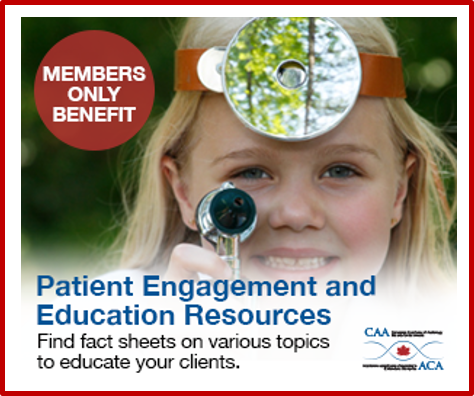 The following document provides a broad description of activities that fall within the profession of audiology, but is not intended to be an exhaustive list of activities in which audiologists engage. Practice activities that are related to emerging clinical, technological, and scientific developments are not precluded from consideration as part of the scope of practice of an audiologist and such innovations and advances will result in the periodic revision and updating of this document. 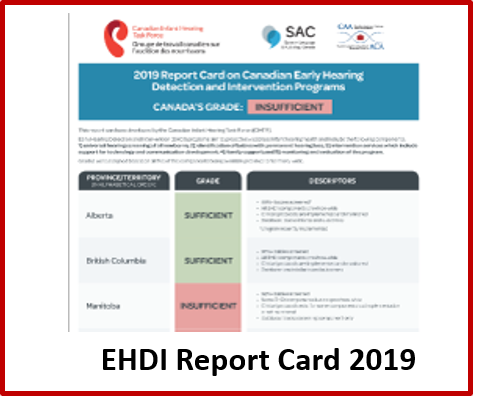 This document is intended to serve as a reference resource for the following groups: (1) audiologists, (2) allied professionals, (3) consumers of audiological services, (4) general public, (5) provincial governments, (6) federal government, (7) third party insurance companies, and (8) regulatory and/or professional licensure bodies. An audiologist is an independent, professional provider of primary hearing health care, who specializes in the prevention of hearing loss and in the identification, assessment, diagnosis, management, and treatment of hearing and balance disorders. Audiologists hold a master’s or doctoral degree in audiology from an accredited university, and are, in most provinces, licensed or otherwise governed by a regulatory body. Audiologists serve in a number of roles including clinician, diagnostician, therapist, educator, consultant, researcher, and administrator. They provide clinical and academic training to students in audiology and related fields such as medicine, by teaching about hearing and hearing loss, the prevention of hearing loss, and the (re) habilitation of those with hearing loss. They provide information and training on hearing to other professions, including psychology, social work, education, and other related professions, and to business and industry. They develop and oversee hearing conservation programs for both occupational and recreational noise exposure. They may serve as expert witnesses within the boundaries of forensic audiology. Audiologists provide services in hospitals, private practice, rehabilitation centres, public health settings, schools, government agencies and other environments in which audiological services are relevant. Audiologists develop and oversee screening programs to detect individuals with hearing impairment, from neonatal through geriatric ages. They train and supervise both professional and volunteer non-audiologists performing hearing screening in a variety of health and educational settings, including hospitals, schools, and care facilities. By virtue of their training in speech and language disorders, audiologists may perform speech or language screening, or other screening measures, for the purpose of initial identification and referral to other specialists. Assessment of hearing includes the administration and interpretation of behavioural, electroacoustic, and electrophysiologic measures of the peripheral and central auditory systems. Audiological interpretation of test results may include diagnostic statements as to the site of lesion within the auditory system, and/or the probable etiology of the impairment. Interpretation of auditory test results may also include statements as to the expected impact hearing impairment may exert on daily activities of communication. Assessment of the vestibular system includes administration and interpretation of clinical and electrophysiologic tests of equilibrium. Assessment is accomplished using standardized testing procedures and appropriately calibrated instrumentation. Interpretation of test results may include diagnostic statements as to the site of lesion within the vestibular system, and/or the probable etiology of the impairment. Audiologists provide the full range of habilitative and rehabilitative services to those with hearing impairment, and are a source of information for family members, other professionals, and the general public. They select, prescribe, fit, and evaluate amplification devices, including hearing aids and surgically implanted devices such as cochlear implants and bone-anchored hearing aids. They also select, dispense, and evaluate assistive devices designed to aid the communication process. Audiologists determine the appropriateness of amplification systems and assistive devices, evaluate benefit, and provide training regarding their use. Audiologists provide counselling regarding the effects of hearing loss on communication and psychosocial status in personal, social and vocational arenas, and strategies for improving communication. They conduct otoscopic examinations, clean earcanals, and remove cerumen when it can be done so comfortably and safely, without requiring direct contact with the tympanic membrane. They take ear impressions for purposes of making custom hearing aids and earmolds, and for custom hearing protection or water protection. Audiologists fit, sell, and dispense hearing aids and other amplification systems or devices. They assess and provide non-medical management for persons with tinnitus using techniques that include, but are not limited to, biofeedback, masking, hearing aids, retraining, education and counselling. They are an integral part of the team within the school system that manages students with both peripheral and central hearing impairments. They serve as consultants in matters pertaining to classroom acoustics, assistive listening systems, hearing aids, communication and psychosocial effects of hearing loss, and maintain both classroom assistive systems and students’ personal hearing aids. Audiologists are also involved in the rehabilitation of persons with vestibular disorders. They participate as members of vestibular rehabilitation teams to recommend and carry out goals of vestibular rehabilitation therapy including, for example, habituation exercises, balance retraining exercises, and general conditioning exercises. Audiologists provide habilitation services for infants and children with hearing impairment and support services to family members. These services may include, but are not limited to, therapy (both direct and indirect), home intervention, family support, and case management. Audiologists are members of auditory implant teams, who determine candidacy based on auditory and communication information. They provide pre- and post-surgical assessment, counselling, auditory training, rehabilitation, implant programming, and maintenance of implant hardware and software. Audiologists design, implement and coordinate hearing conservation programs, covering both occupational and recreational noise exposure. This includes identification and reduction of noise-hazardous conditions, identification and prevention of hearing loss, recommendations and counselling for the use of hearing protection, employee and public education, and the training and supervision of non-audiologists performing hearing screening in both occupational and non-occupational settings. Audiologists administer and interpret electrophysiologic measurements of neural function including, but not limited to, sensory and motor evoked potentials, tests of nerve conduction velocity, and electromyography. These measurements are in differential diagnosis, pre- and postoperative evaluation of neural function, and neurophysiologic intraoperative monitoring of central nervous system, spinal cord, and cranial nerve function. Audiologists design, implement, analyze, interpret and report the results of research related to auditory and vestibular systems, both normal and impaired. Areas of research may include, but are not limited to, speech perception, auditory processing, psychoacoustics, hair cell regeneration, hearing aid design, and the psychosocial consequences of hearing loss. Some audiologists, by virtue or education, experience, and personal choice choose to specialize in an area of practice not otherwise defined in this document. Nothing in this document shall be construed to limit individual freedom of choice in this regard.